If history is the alchemy of theory, then communists turned gold into lead in Palestine. When I first arrived in 2009, I was one of those hand-wringing well-meaning comrades who shed tears over the absence of a progressive political left in Palestine. No doubt, there exists in Palestine some of the strongest and bravest leftists in the region, but their work is for naught and their books (printed with French, German, and Canadian money) get used to warm hovels in Askar refugee camp. They are at best tolerated and called in from time to time to answer questions on economy. When the Soviet money dried up, the network of civil supporters did as well, until all that was left were empty storefronts and the staff had moved on to NGOs and ideologies that would catch the foreign dollar, euro, or dinar. Like most other ideas – democracy, liberal rights fantasies, Wahhabism, western civic models, and open markets – communism was thrown into the trash heap in Palestine because it was presented in an unrealistic and condescending way. Leftists crouched around telefaxes worrying “No, you’re doing it wrong! You need to… There needs to be… This theory is really…” while Israel continued to pummel their neighborhoods. Such disregard was given to the situation on the ground, to the realities of the society, that after the militant wing died down the people themselves shrugged off the theories and put all their efforts into courting money and robbing the donors blind. A handful remained to churn out honest work, but their romance with how “they” did it seemed to only further alienate their efforts. After all, what does the left really have to offer Palestine save money and a few PFLP t-shirts? Obviously not their unwavering support. The condescending insistence on ideological purity puts leftist organizations in the same boat as USAID. There’s nothing wrong, I suppose, in offering money with ideological strings attached – a business transaction obviously! – but don’t for a second try and fool yourself into assuming you’re helping. Own up to the fact you’re settling the hearts and minds as much as Israelis are. A prominent leftist organization recently cut funding to civil society NGOs, insisting that their strategy had changed from promoting a “culture of dependence” through NGOs to funding political parties directly, thereby cutting out the middle man (the citizen) I assume! It is, of course, much easier to inject a political program directly into a certain class of people rather than to everyone. And how late the left is to this game! After all, the cafes and imported cars already promote a kind of politik and the imams living the high life in Masyoon can promote yet another. Now, 10 years too late, is when the left decides to try and resuscitate the leftist parties – at least, the ones that are allowed to exist by the powers that be. Indeed, the left has spent so much time cozying up to the powers that be that no one takes them seriously anymore. With the dissolution of the Soviet paycheck, those left in the cold were simply begging to be invited to summits and dinners and willing to throw just about anything away for inclusion. So where does this mentality come from? Look no further than the left of today, whether it be Kadima and its JStreet front, the progressives left holding the bag after the election of Obama, or the ineffectual and laughable socialist/communist parties of Europe. 24. While communists have no truck with Zionism and condemn the colonial-settler origins of Israel, we recognise that over the last 50 or 60 years a definite Israeli Jewish nation has come into existence. To call for its abolition is unMarxist. Such a programme is either naive utopianism or genocidal. Both are reactionary. The Israeli Jewish nation is historically constituted. The Israeli Jews speak the same language, inhabit the same territory, have the same culture and sense of identity. 25. The Palestinian national movement has been sustained only because of the existence of and its relationship with the wider Arab nation. Solving the Israel-Palestine question requires a combined Arab and proletarian solution. Communism and nationalism are antithetical. Nevertheless we champion the right of all oppressed nations to self-determination. In the conditions of Israel/Palestine that means supporting the right of the Palestinians where they form a clear majority to form their own state. Such a state is only realistic with a working class-led Arab revolution. What fiery words to galvanize the youth of Palestine into direct unified action! 27. The immediate call for a single Palestinian state, within which the Jewish Israeli nationality is given citizenship and religious, but not national rights, is in present circumstances to perpetuate division. Israeli Jews will not accept such a solution – the whole of the 20th century since 1933 militates against that. There is moreover the distinct danger that the poles of oppression would be reversed if such a programme were ever to be put into practice. In all likelihood it would have to involve military conquest. The call for a single-state solution is therefore impractical – Israel is the strong nation – and, more than that, reactionary, anti-working class and profoundly anti-socialist. Liberation and socialism must come from below. It cannot be imposed from the outside. The thrust of this position is that only a unified working class revolution can solve the problems in the Middle East, and that until then the Palestinians will be left sitting in bulldozed houses. And God forbid they actually achieve a single state solution wherein their Jewish settler neighbors suddenly face a dearth of privilege, where they may in fact be tossed to the curb by the living, rightful inhabitants of the homes they have settled in! Really, arguing this kind of thing is tedious and only engages those arguing, while those who are left in prison and at checkpoints tap their feet. When the people’s revolution fails to materialize, the leftists snap: “Weren’t you listening? Weren’t you reading your Marx?” Those gross intellectuals abroad typing up policy papers and party positions were the vanguard, why weren’t you jumping to attention? Where are the actual homegrown progressives? Well, if it doesn’t smell like a communist or walk like a communist, I’m not gonna call it a communist! Beware to those who moan about the rise of “Islamic fundamentalism” in such places! When your books and papers and groups can’t provide the soup, childcare, medical attention, and social services that those caught up in the “barbarity” of Islam can provide, you have a problem. Is there no one to work with, no one to attend your meetings? A Western leftist (centrist! rightist!) is not going to find the “partner” he wants in Palestine – the partner that looks, acts, and talks like he does – unless he molds a group to his pleasure. 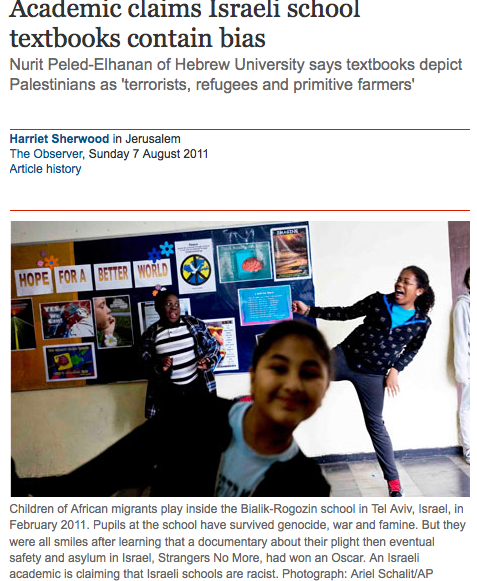 Rather than work within the parameters offered, rather than ask the Palestinians what they need, or worse – ask them how they think liberation should be achieved, the Westerner wants to dress up a few students and put money in their hands. They perch on a party and gain privilege over the party’s constituents by pumping money into party leaders. I spoke with aid workers who lamented the state of things – how they had to pay for supporters, offer food or transportation to people in return for participation in their programs. Why would no one take initiative and make sacrifices? A somber walk through the old city of Nablus looking at martyr posters shows such people exist.. or at least once did. They did not die for foreign money, not for the pleasure of foreign political parties, not for a unified Arab proletariat and not for Karl Marx. They died for the people, their land, their memories, and their pride. Forcing people into contortions to fit your mold of “leftist progressive worth supporting” insults this. 1. Stay close to the core truths of the conflict. There already is a one-state entity in Palestine and Israel and it is called al-Ihtilel (the occupation). It is racist, sexist, classist, homophobic, imperialist, and reactionary. Do not deviate from this core truth and do not delude yourselves. Visit if you can, and if you cannot, take it from someone who’s been there or who is from there. 2. Support the people. Do leftists really need this lecture? Support the people. Support the people. If the people pray, support them. If the people throw rocks, support them. If the people oppress one another due to colonialism, do not think it is out of “barbarity” or inherent fault with the people and their traditions. It is more possible to fix the ills of social society by supporting the society rather than by shoving your morals down their throats with a spoonful of money to help it go down easier. 3. They do not trust you. You are not their comrade unless you are taking orders from the people. They are not your partners and you will never be on equal footing with them. You do not know the situation. You do not know Arabic. You do not have the right to pretend you know anything more more than the faces on the martyr posters. They are the ones to make the sacrifices, so let them decide what is worth making sacrifices for. If leftists passionate about the Palestinian cause were as passionate about their own situations in their home countries, there might be change faster than you think. The I/P conflict does not exist in a bubble, it is the result of policies and attitudes worldwide that have nothing to do with the Palestinians… and if you call yourself a leftist this should be clear as day. Accepting that you have little to nothing to do with the Palestinian solution to the occupation (and it is coming) will give you leave to address the attitudes and policies in your own society that contribute to the occupation of Palestine and elsewhere. Involving yourself with what Arabs or Palestinians or Israelis “should do” is a misdirection of your efforts and borderline chauvinistic. Just as the Palestinians are the winners and inheritors of their own liberation, so too are we responsible for what happens in our own communities. Your position should be to support the liberation and self-determination of oppressed people worldwide, but you should start with what you know best and among people you are affiliated with. Stop planning and criticizing action or positions abroad when you first need to take the log out of your own eye to see anything clearly. how much tighter does the noose get? The Debt Ceiling charade was perfect. No need for actual “shock” anymore, just create something. It doesn’t even have to be swallowed by the people, just make it convincing enough to put on television. Tie them up and cover their eyes and yell that a train is coming so they fork over their wallets without much of a fight. My mother is divorced. Her retirement account was shot up during the last market crash and she is 62 years old. She makes $50,000 per year as a professor teaching college-level writing to students who think “Afghanistanian” is a word. She can’t sell her house because three houses on her street are in foreclosure and the shoddiness of the property – built as an asset to be swapped out every five years instead of being built as a home – needs leaks fixed, flooring replaced, etc. The next housing bubble is coming in 2012 as the short-term fix to the ARM schemes phase out and interest rates get jacked up again, and her house will once again be worth less. As entitlement plans get hoisted up to be sacrificed on the alter of austerity, the blood of seniors fueling more wealth accumulation at the top 1%, even her modest social security check – $16,000 per year – will be in danger. Healthcare costs continue to rise, and it’s possible my mother might not be able to afford to live as long as her parents did. I’m 26 years old and I’ve never made more than $25,000 per year – and that peak was in 2007. I’m over $30,000 in debt for school and don’t have health insurance. Since I’ve been able to vote, I’ve seen a number of local and national elections stolen. I was lucky enough to be accepted into a good school overseas for a Masters program, but there is no assurance that my education will land me a job – especially in this economy. It’s a gamble, and my debt will grow. I’m at the age to start considering a family, but who can afford a family nowadays? Two screaming kids, two working parents, a shot-up education system, etc. The prognosis for my generation is grim. The possibilities for any kind of youth action to take back our government are few. I am disenfranchised. I can holler to my corner of the world in a blog online, but what good does that do us? We vent our frustrations but find no solace in it, no succor in complaining. Yet I have it easy! I have it good! What of those who work in the fields without documents, those who work two jobs in a single parent household, those who are ill and hungry? Soto is paralyzed from the shoulders down but does not let that keep her from doing advocacy work for people with disabilities at a Los Angeles independent living center. Using her mouth, she can operate a computer trackball and type numbers into a phone with a Popsicle stick. Several times a week, an aide helps her into an electric wheelchair so she can take the train to work. Most of the $800 she earns a month goes toward work expenses, including paying someone to feed her lunch. She has relied on $723 a month in SSI to cover rent and utilities. In July, the state reduced its portion of the grant for single beneficiaries like Soto to the federal minimum, shaving $15 from her income. The same month, the state began charging Medi-Cal beneficiaries copayments of $5 for prescriptions, $50 for emergency room visits and up to $200 for hospital stays. Soto has five prescriptions and went to the hospital four times last year. “That can really add up,” she said. But the cuts that worry her most are those to the In-Home Supportive Services program, which is paying for about nine hours of care a day. The two women who have been assisting Soto for more than a decade have told her they will have to look for other jobs if their hours are cut again. Without them, she fears she would have to go into a nursing home. When did America start thinking like Israel? Since when did we decide the most important thing was just making it as far as tomorrow? Was it Reagan and his talk of rapture coming? Will Jesus descend and wipe away our debts and oil spills? Does anyone have any ideas? There’s a movement from Adbusters of all places to occupy Wall St. on September 17th. Yet Wall St. is more fortified than the White House nowadays. The rich of this Gilded Age are isolated and live in jets and fortresses. They don’t just hire security – they hire media firms and think tanks and create a culture of docile security. Our prisons are overflowing and our heads are empty. We elected a man who ran on “change” and he delivered us more of the same but in the way of a grotesque pornographic minstrel show for the rich. Do we see how tight the noose gets before we start thinking how to get out of this? I’ve been toying with ideas around grassroots democracy at local levels, community (re)building on small scales as the Great American Federal Age fades to a fiery sunset. Youth empowerment, that sort of thing. There needs to be a foundation of civil society for that to work, though, and I fear it’s all been shot to hell by secular self-medicated psychiatry. At least, this is what my mother tells me as she grades papers. It’s what I see in the educated, unemployed, and going-nowheres, the depressed and dejected activists who had to move back home. So, seriously… does anyone have any ideas?